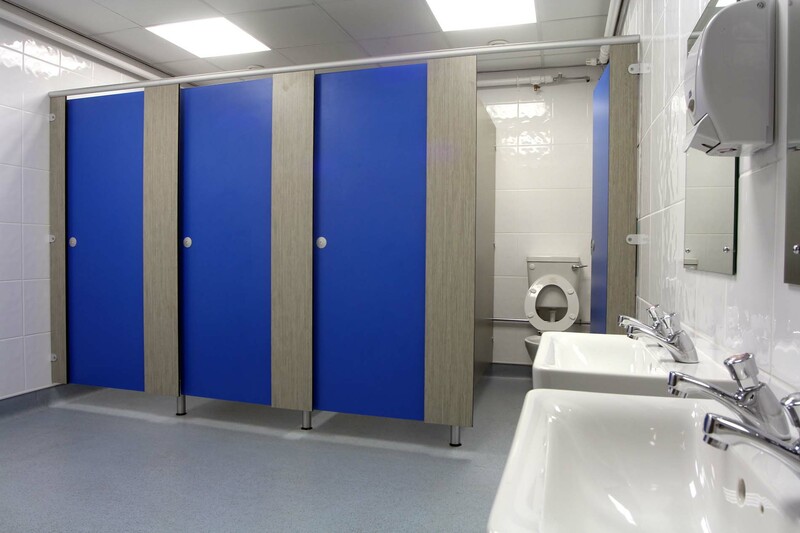 McPhillips undertook this two phase project to provide internal and external refurbishment to a 1780m2 two storey CLASP teaching building with twenty one classrooms first constructed in the 1960’s. The main works consisted of a full interior refurbishment followed by a second phase spent replacing the kitchen and canteen. Pre-contract, asbestos was identified and, depending on its location, this was removed or encapsulated by a specialist subcontractor. All ceilings and floor coverings were removed and electrics were stripped out. 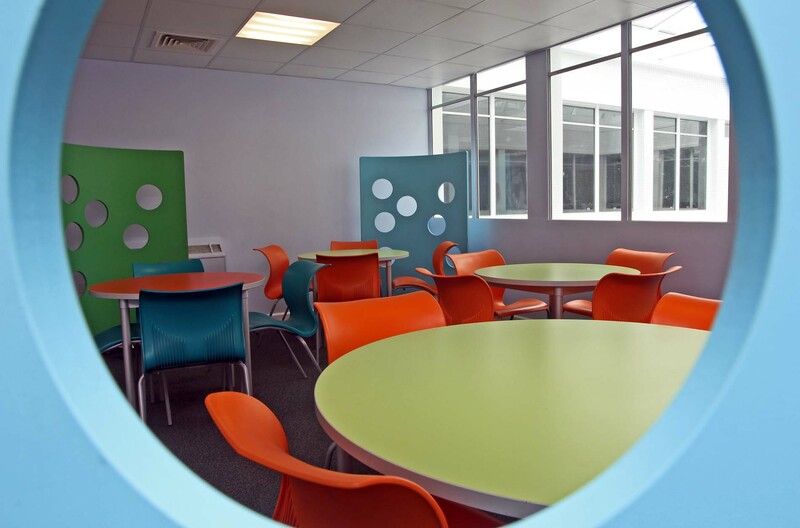 Reconfiguration of the interior was completed through removal of internal partitions and construction of new stud walls. A new four person lift was installed and 45m2 roof light created. 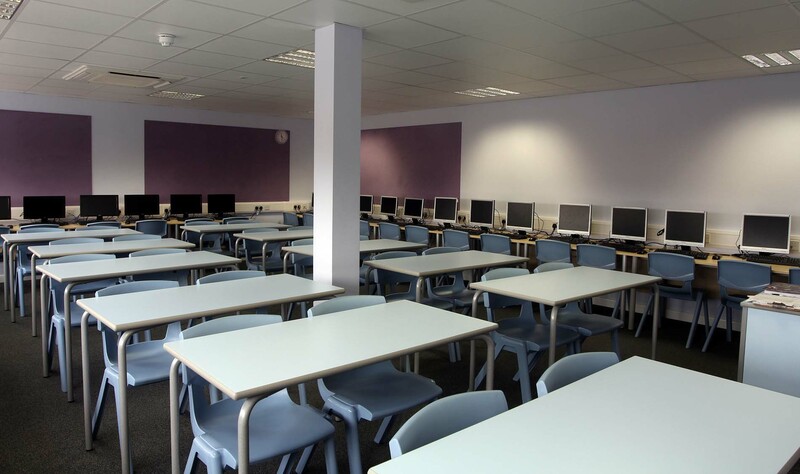 All new suspended ceilings were installed along with new electrical wiring and floor coverings were carpet tiles and vinyl. 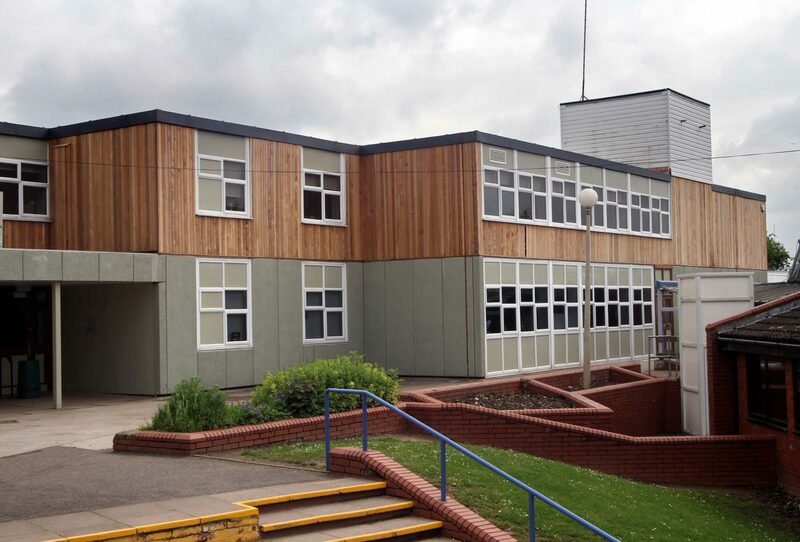 Externally the building was re-clad with 220m2 of cedar panels and four new exterior doors were installed. 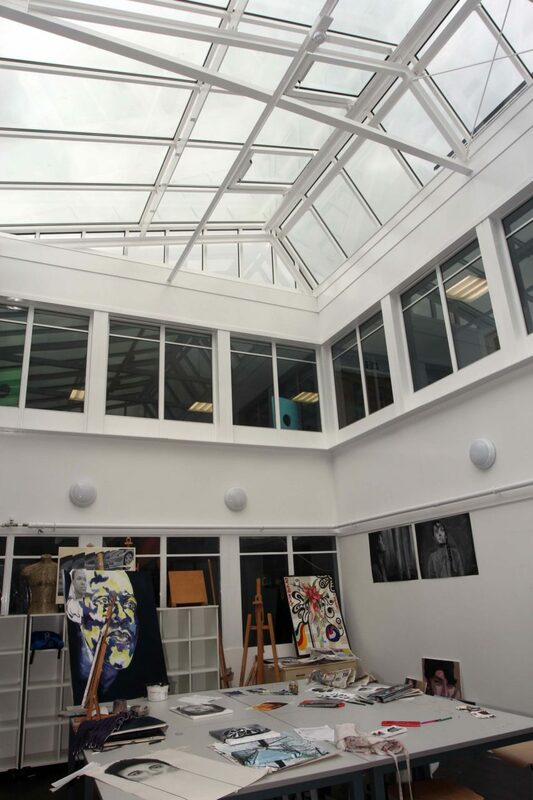 A single ply membrane insulated flat roof was used to re-roof the building.